Today we’d like to introduce you to Mary Ellen Sparrow. Thanks for sharing your story with us Mary Ellen. So, let’s start at the beginning and we can move on from there. In my 25+ years in the industrial automation and robotics industry, I’ve held management positions, served on strategic planning boards and industry standards committees, and led cross-functional, international teams in software, systems, controls, quality, program management, and field service. 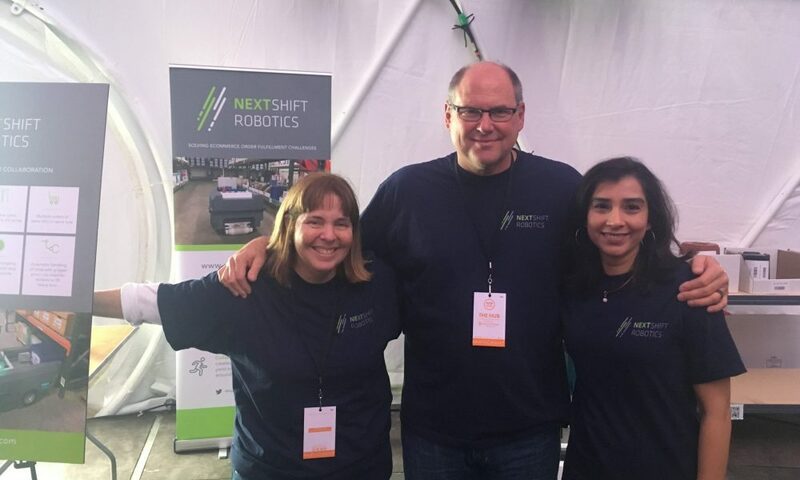 That experience and knowledge has been essential in my role as the CEO of NextShift Robotics. As the NextShift CEO, I have the good fortune to work in a field I love, with an energetic team, solving the problems facing e-commerce and manufacturing companies. As a kid, I loved nature, math, and science, in that order. Originally focused on geology, I had the opportunity to get involved in programming so I switched gears after a few years and went back to school for my master’s in computer science. After graduation, I gained invaluable experience working on challenging projects with a couple of robotics start-ups. At that time, PRI Automation was looking for engineers to create a monorail system to move material across fabrication plants for companies like Intel, IBM, AMD, and Motorola. Intrigued by that project, I signed on to lead their software effort. It was at PRI that I met my future NextShift Robotics’ co-founder, Stephen Toebes. Later, Stephen and I worked together again at a Boston-based startup, Symbotic, where we gained deep expertise in supply chain automation for large retail distributors like Target and Coca-Cola. Stephen moved to Harvest Automation and asked me to join the company to help create an e-retail warehouse material handling system using mobile autonomous robots. When Harvest returned to their original focus—agricultural robots, Stephen and I acquired their IP and assets and started NextShift Robotics. Life is never 100% smooth, but that’s what makes it exciting. I’m a woman in a high-tech field I love, but often, in meetings and at conferences, I find I’m the only woman in a sea of men. Fortunately, Golden Seeds and Portfolio, are leading the way to fund women-led companies. Both angel groups have invested in us and that support is invaluable as we grow. Another issue we’ve had to contend with is the love/hate relationship people have with the concept of robots. They see the value of automation but worry about job loss. What we’re trying to show them is that robots aren’t a threat; they’re a benefit. We don’t want to replace workers with robots. We want to make workers’ lives easier by enabling them to off-load cumbersome and tiring tasks, like miles of walking or heavy lifting, to robots. 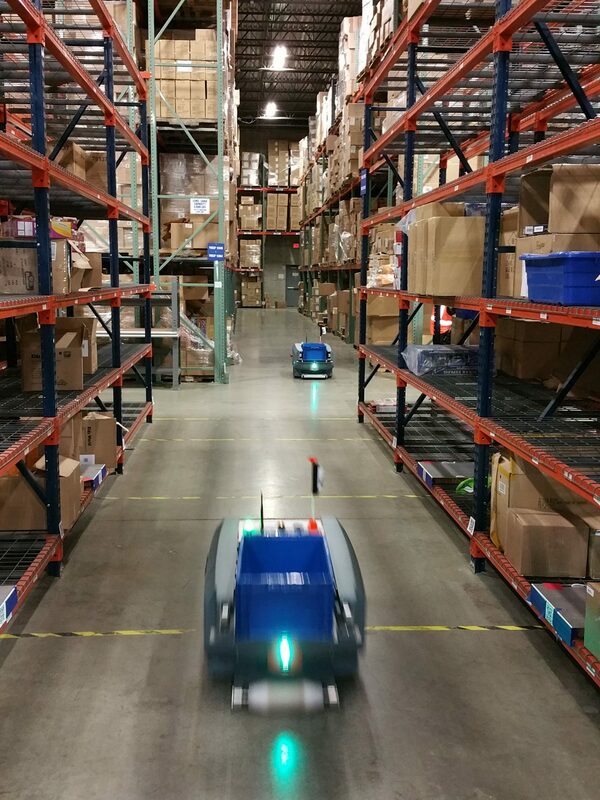 Our autonomous mobile robots help reduce worker fatigue while increasing throughput and productivity. We founded NextShift Robotics to bring more automation and flexibility to warehouses and e-commerce distribution centers. In many warehouses, workers walk for miles each day gathering products from all over the facility. This continual motion, along with the reaching and bending can cause fatigue and even injury. Boston is a city of innovation which actively supports the robotics and entrepreneurial communities. The Boston robotics community specifically, supports an extremely diverse group of technologies. There are industrial, personal, companion, airborne, mobile, and surgical robots. Massachusetts universities have cutting-edge robotic foundations such as MIT’s Robotics Groups, UMass Lowell’s NERVE Center, Olin’s Robotics Lab, and Worcester Polytechnic Institute’s robotics curriculum, which features the nation’s first robotics major. Boston also has a positive entrepreneurial spirit. The city actively encourages start-up initiatives via the Mass Technology Leadership Council, Mass Innovation Nights, Mass Challenge, SheWorks, iFund, WIE Society of IEEE, and MassMEP. These groups along with the academic support and the local interest in innovation and technology make Boston a vibrant and exciting place to start a robotics company. My least favorite thing is something that plagues many cities—traffic. I’m looking forward to self-driving vehicles. As a busy start-up founder, I’d love to have that extra time!